Happy New Year, dear friends! This Friendship Friday, we are celebrating a blogger who is near and dear to our heart – Christina Morley of Amanda’s Books And More! I really can’t remember when I first met Christina (“Tina”) – we’ve both been blogging for quite some time now – but if you haven’t met her, you are in for a treat! Tina is an American who lives in South Africa with her native born husband, where she ministers with her husband and raises a family of four. She runs several blogs where she shares book reviews, photography, family life, original poetry and more. Last year, she published her first book, Happy Moms, Happy Homes, which is available on Amazon! Christina also hosts several link-ups on her blog – why not join her for her first link-up of the year? Making new blogging friends is such a joy. Be sure to visit Christina this week and congratulate her for being our Friend Of The Week at Friendship Friday at Create With Joy! Hello. Your blog turned up on a google search. So much to see on this site, and also those on the blog hop. 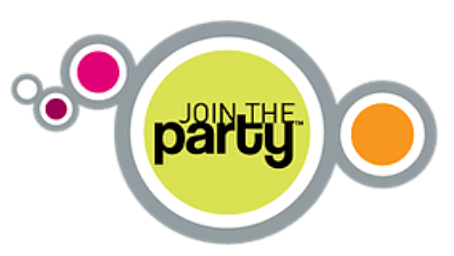 I am not very blog-writing familiar, even though I have been blogging for a couple of years (yes, very small blog & readership so far), but I managed to share the Join the Party button. … I think I accidentally got it to show up TWICE in fact on one post. My blog is about life as a gramma, mom, and wife, retired now, but still a homemaker! I love art deco and MCM. I have an etsy shop specializing in patterns and miscellaneous vintage items. Comments and suggestions on my blog would be very appreciated. Wow! This is huge and you’ve done a fabulous job featuring me! Thank you so much, Ramona! Wishing you a blessed 2019. Wonderful to see my friend Christina’s face here! Tina sure is a busy gal and is doing some great things! Happy new year, happy to be here again! Happy New Year, Ramona! Thank you for introducing us to Christina’s blog. We will check it out, for sure! Always a pleasure Kevin – Happy New Year to you too! Happy New Year! May your New Year be filled with success, joy, and love! Thank you for hosting these wonderful parties! 🙂 I will pin this.